Question Proposed on LinkedIn: Do you know what your references will say about you? – I recommend building a “resume portfolio” document, which I think would work excellently with the suggestions you are making here. I have clients get actual statements from references to include on a document with their names and contact information. It’s a little out-of-the-box, but this is why I like it and recommend it! – Remember, the Fair Credit Reporting Act allows people the opportunity to find out with their references said about them. It is one of the best ways to find out if your references helped you or hurt you. – My first exercise for clients when I train them on how to use LinkedIn is for them to go over all the people they’re already connected with and rate them as to whether they would make a good reference and what would be the area and/or skill set they could impact most with their recommendation. If they would be a poor reference I suggest unlinking. Next I ask them to consider people they are not already connected with who could provide a useful recommendation for you and connect with them if they are already a LinkedIn member. Next I suggest that they reestablish a relationship with them if it has been a while since the last personal contact, and in many cases I also suggest writing a recommendation for them on LinkedIn or at the very least endorsing them for skills you can honestly do so for. Then it is a matter of reaching out to them and talking to see if they would be interested in being an advocate for you if and when the time comes and at the same time asking if they may require a similar service from you if and when the time comes and discussing what it is they can and will offer an employer. – Identify Potential References. Start by making a list of your prospective references. Begin with your most recent/relevant job and work backwards from there. Usually references only get checked with immediately prior employers, but the more elevated the position the further back your references are likely to be checked. Identify people who have seen you in action, ideally performing well in adverse conditions. This list will include: Managers and supervisors, Project managers for special assignments, Colleagues, Subordinates, Suppliers and clients and Committees. – Talking with potential references long before their services are required gives you the opportunity to screen both the message and the messengers you will use. 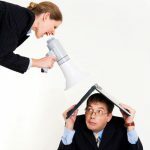 When you know exactly what former managers and colleagues will say about you, you can use the references you choose with greater confidence, because you have much greater control over who gets to say what about you. – Help Your References Help You. Start the conversation by catching up on each other’s lives since last you spoke. Be sure to cover what you have been doing professionally, especially any new skills you’ve developed, the projects you’ve been engaged with, and how you’ve added experience and turned old weaknesses into new strengths. Explain that you are in transition and ask if s/he would feel comfortable acting as one of your references “when the time comes.” Share a few details of the job you’re targeting finish by saying you’ll be in touch again when an offer is close. – Don’t be a putz at your current job. But definitely have to find the one manager you’re apt to receive positive references from and get his or her PERSONAL contact information (in case they leave the gig after your departure) and ask if they would be able to provide you with a nice reference going forward. If the only manager you got is one that’s going to badmouth you, I’d tell the employer that you no longer have contact with the manager there and just hope they call to check dates. References are important and it’s a deal breaker in the hiring world, so make sure you don’t screw it up by coming in late, leaving early, surpassing deadlines, getting caught surfing too much and complaining to co-workers with office gossip.